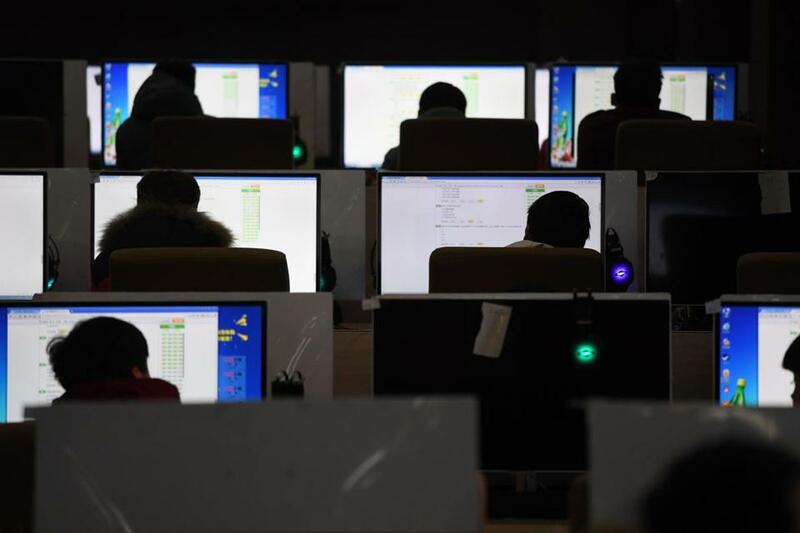 Students sit for an exam in a computer room at a technical school in Jinan, China. George Soros is right to call artificial intelligence technologies “a mortal danger” for open societies like ours (“China and the AI threat to open societies,” Opinion, Feb. 4). In the United States, we are increasingly subject to the whims of secretive databases and algorithms. Our opportunities for housing, employment, education, and more are becoming dictated by big data and automation. Surveillance technologies built on machine learning and big data also pose a threat to democracy, open society, and justice. Right now in Massachusetts, for example, police are using face recognition to identify people, despite studies showing the technology is racially biased and the absence of regulation to protect civil rights and liberties. Massachusetts lawmakers are springing into action to address these problems. Senator Cynthia Creem and Representative Dave Rogers have introduced legislation to establish a moratorium on government use of biometric tracking technology until the Legislature passes comprehensive rights protections. And Senator Jason Lewis and Representative Sean Garballey seek to create a commission to study the use of artificial intelligence and automated decision systems by Massachusetts government. To ensure ours stays an open society and doesn’t follow China down the authoritarian path, the Massachusetts Legislature should pass these critical bills right away.